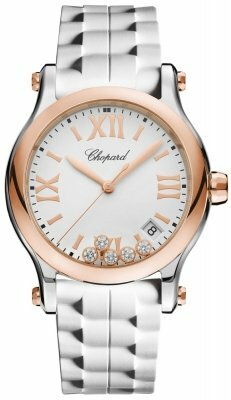 Polished 18kt rose gold bezel. 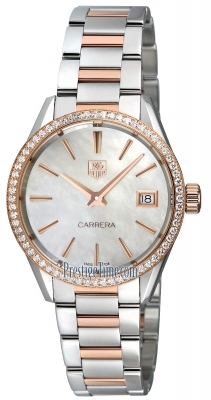 Polished steel crown set with 18 VS diamonds (0.04 carats). 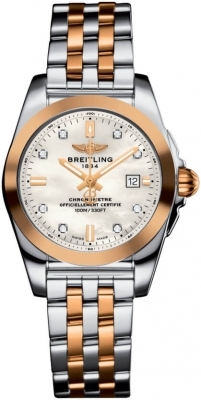 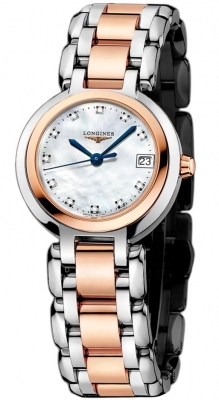 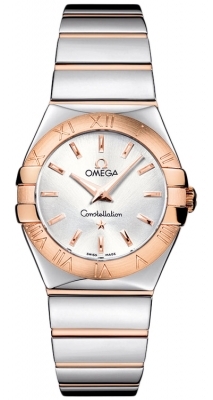 White mother-of-pearl dial with polished rose gold-tone hands and applied Arabic numerals. 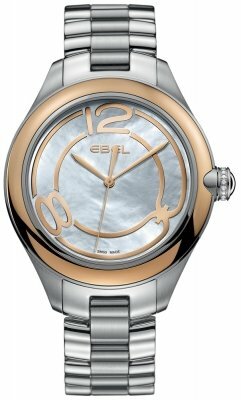 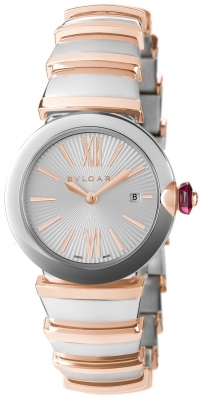 Rose gold-tone distorted Ebel "E" symbol adorning the dial.